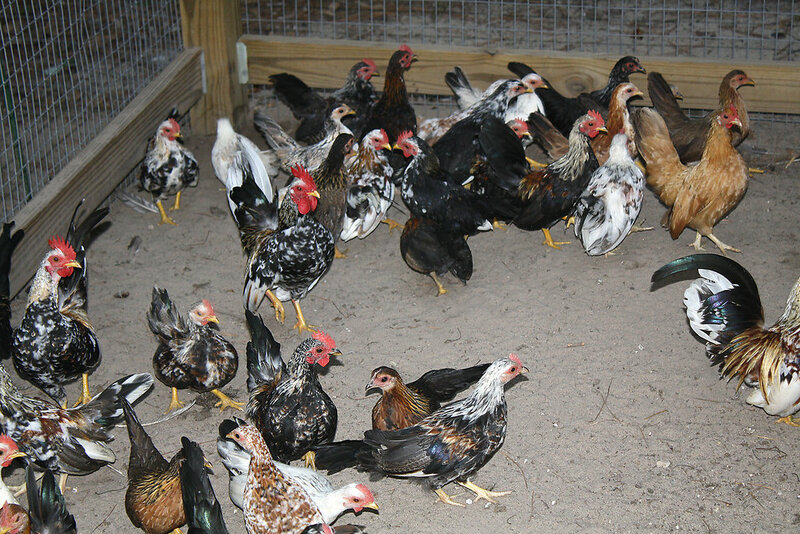 Description: This image depicts a grouping of chickens inside their coop, which were being raised for their eggs in a privately-owned backyard pen. In this particular view, male and female birds were all grouped together. Eggs from these chickens were collected each morning to be used as food by their owners.